New apartment 25 minutes from the ski resort of Gourette. 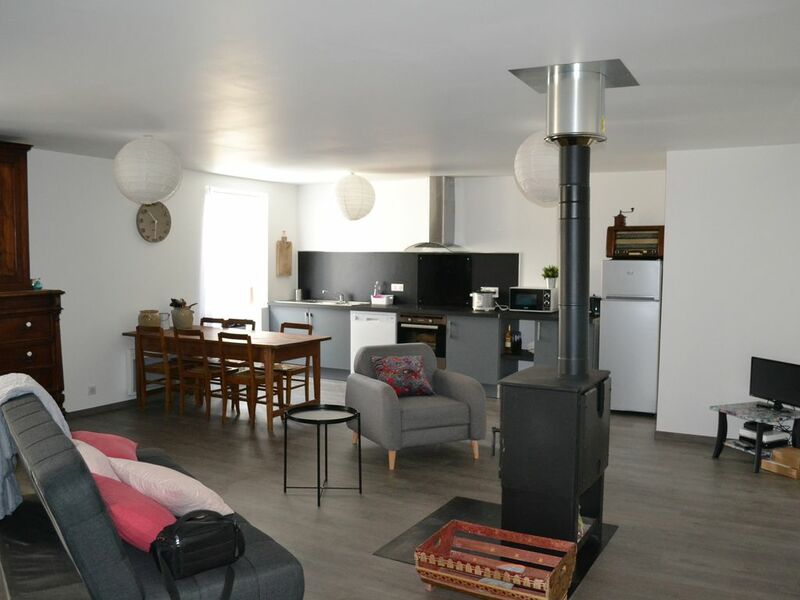 In a Béarnaise farm, our apartment of 120 m² is redone. It has three bedrooms, one with a queen size bed and a living room / kitchen with a sofa / bed and a spacious and bright bathroom. Located in the heart of Bielle, village of the valley of Ossau whose church and the castle are classified as historical monuments. Many departures of walks, walks and ski resort Gourette 25 min. The bus stop for Gourette station is 30 seconds walk from the house. Spanish ski resort of Formigal at 35 km. Supermarket of Louvié Jouzon in 5 min and supermarket of Laruns in 7 min. Maison agréable et tres bien équipée. Très bonne prestation. Lieu calme et très spacieux. Merci beaucoup pour ce sympathique commentaire, nous espérons vous revoir bientôt !